You are here: Home / Statements / 2011 / 14.03.2011: Solidarity and active resistance for the shutdown of all nuclear power plants – immediately and worldwide! 14.03.2011: Solidarity and active resistance for the shutdown of all nuclear power plants – immediately and worldwide! 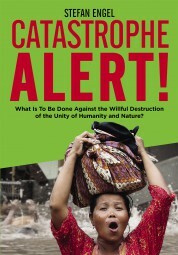 Earthquake, tsunami and nuclear catastrophe are hitting the masses of people in Japan with utmost brutality. Our deepest sympathy and unreserved solidarity is theirs. The floods alone have probably led to tens of thousands of people loosing their lives. Hundreds of thousands are fleeing, millions of people lack electricity and water. People in the entire world are filled with grief, consternation and anger. The most important show of solidarity is active resistance, the determined struggle to shut down all nuclear power plants – worldwide and immediately. There is an acute threat of an atomic worst-case scenario. Hydrogen exploded in reactors 1 and 3 in Fukushima, the fuel rods in reactor 2 are completely without cooling, the cooling-systems in further nuclear power plants like Tokai are out of control. The release of radioactive caesium and iodine are an unmistakable sign that a nuclear meltdown has begun. That inevitably leads to enormous amounts of highly radioactive material being released into the environment- either through an explosion into the air or, by burning into the ground, to a disastrous pollution of the ground water and sooner or later of the oceans, the land and the food chain. The greatest nuclear catastrophe in the history of humankind is threatening and affected are those who had already been deadly hit by the first atom bombs in Hiroshima and Nagasaki! Criticism is growing worldwide of the contemptuous behaviour of the Japanese government and the operating companies which are endangering the lives of millions of people. The Japanese government even dares to pacify and deceive the masses and the world public by propagating the importance of washing faces and hands with soap and with a propaganda offensive which is totally playing down the dangers. In Anne Will's TV talk show the Japanese ambassador even dared to compare the amount of radiation with an X-ray examination! First of all, the massive nuclear policy is taking a nuclear catastrophe into account in spite of better knowledge, although the danger of earthquakes is well-known. And then independent measurements are being prevented and the most necessary immediate measures are being obstructed by postponing the acceptance of international aid for days and, until today, not even requesting and allowing assistance from competent NGO's. Supposedly in order to prevent panic from breaking out , the only appropriate measure at this moment, which would be the evacuation on a mass scale, is only being realized to a minimal extent. That all can only be described as being criminal. The German Federal Government has insolently decided to extend the operating terms even of the old and dangerous nuclear power plants in full knowledge of the dangers and against the proven will of the majority of the population. With the extension of the operating terms of the nuclear power plants in secret deals in the fall of last year, the security standards were further lowered and the costs for conversion were limited to only 500 million euros per old reactor. In the out-dated reactors Biblis and Neckarwestheim alone, hundreds of incidents took place within the past years. How ridiculous are the newly announced security tests for German reactors and a crisis management that consists mainly of preventing critical questions and the protests against the government's own nuclear policy and their playing down the dimensions of the issue. Those who are fighting against this murderous nuclear policy are being attacked and defamed: Whoever claims that he has always been saying that is supposedly „capitalizing on the anguish and need for the sake of party politics“, German Secretary of the Environment Roettgen claims on 14 March. Indeed, for years the militant environmental movement, the Marxist-Leninists have substantiated and proven the deadly threat of nuclear power plants, but also the alternative of 100 percent renewable energy sources. Who is really capitalizing on the anguish and need are the international supermonopolies and the federal governments which have rigorously whipped through the nuclear policy. The supposedly safe nuclear reactors in Japan were one of the arguments that they constantly brought forward. The (election) slogan for merely taking back the extension of operating times for the nuclear reactors and returning to the old sham package of the former SPD/Green government, which itself even first made the extension of reactor operating terms possible under the cover of a supposed pullout from nuclear power, leads to a dead end. That is ecological imperialism – ecological in words, imperialist nuclear policy in deeds. All nuclear systems must be shut down immediately at the cost of those who run them! We have enough power capacities in Germany so that not a single light bulb would go out if all nuclear power plants were shut down immediately. In the hot summer of 2003, when all nuclear power plants had to be turned off because of the low water levels, nothing happened at all. The motive is alone the maximum profits that the nuclear power plants bring when they depreciate. The extended operating terms in Germany lead to yearly 8 to 10 billion additional (!) profits for the power companies. Accordingly the RWE, as one of the biggest German operators of nuclear power, also explicitly doesn't see the slightest necessity of re-thinking nuclear policy. These people will never be convinced by arguments! For example, together with French and Russian nuclear enterprises, Siemens wants to attain one-third of the world market for nuclear power plants and uranium, which is estimated at a total of about 400 new nuclear power plants by 2030. The government of the People's Republic of China is determined to continue its atomic program with numerous new nuclear power plants . That shows - whoever wants to fight against the nuclear catastrophe must go to the root of all evil and fight against capitalism! Imperialism is totally unscrupulous. Either it will be brought to fall or the existential foundations of humanity will be irretrievably destroyed in a worldwide environmental catastrophe. An international new upswing of the struggle for genuine socialism, in which the unity of humankind and nature and not profits are in the center, is the right answer to a system the existence of which is determined in essence by economic, political and ecological crises alone. Take the world out of their hands before it is too late! This weekend protest and solidarity actions developed in many cities and towns in Germany very quickly, including one, which had already been planned, with about 60 000 participants between Stuttgart and the nuclear power plant in Neckarwestheim. For today, on Monday, more than 200 local activities have also been announced and their numbers are constantly increasing. The masses of people in Japan are faced with an extremely complicated situation in the struggle for existence, but at the same time they have the task of taking the lead in active resistance against the nuclear power monopolies, the operators of the power plants and the governments which promote and support these. In Germany the time has come to bring the atomic program of the government and enterprises to fall in active resistance. For this sake we are combining forces with the masses and the revolutionaries organized in the ICOR in the entire world. Solidarity and active resistance are the order of the day! Immediate, worldwide shutdown of all nuclear systems at the expense of those who run them! Immediate and unrestricted course for 100 percent environmentally benign energies! Active resistance to save the environment from the greed for profit! Build up an international resistance front against the global environmental catastrophe! Onward to a new upswing in the struggle for genuine socialism, onward to the international socialist revolution! Take the world out of their hands before it is too late! Enats Goro, a representative of the “Allied Labor Unions of Independence” in Japan stated in a telephone interview with representatives of the MLPD on 14 March how deeply impressed he was about the worldwide wave of solidarity and protest actions. “In the coming days a new movement against these criminal policies will be developing which will include mass protests. It is necessary to struggle together internationally. “ In the huge city of Mumbai in India, in the vicinity of which the world's largest nuclear power plant is supposed to be built near Jaitapur, a region also endangered by earthquakes, a solidarity demonstration was immediately staged on 11 March. Sanjay Singhvi, Deputy Main Coordinator of the ICOR (International Coordination of Revolutionary Parties and Organizations), a new revolutionary world organization founded in October 2010, spoke at the closing rally. Starting immediately, a protest rally will be staged every week on Friday in Mumbai.